Managing your own books is time consuming, arduous, and error-prone. Have our reliable, affordable team manage it for you. We help take the hassle out of payroll. If you are just getting your small cake shop started and have a few employees to manage, or a larger corporation with hundreds on staff and millions in payroll processing each month, and are looking for a reliable, safe and simplified way to manage your payroll, our team of payroll specialists can provide a turn-key solution to manage all of your checks, deposits and federal requirement needs. 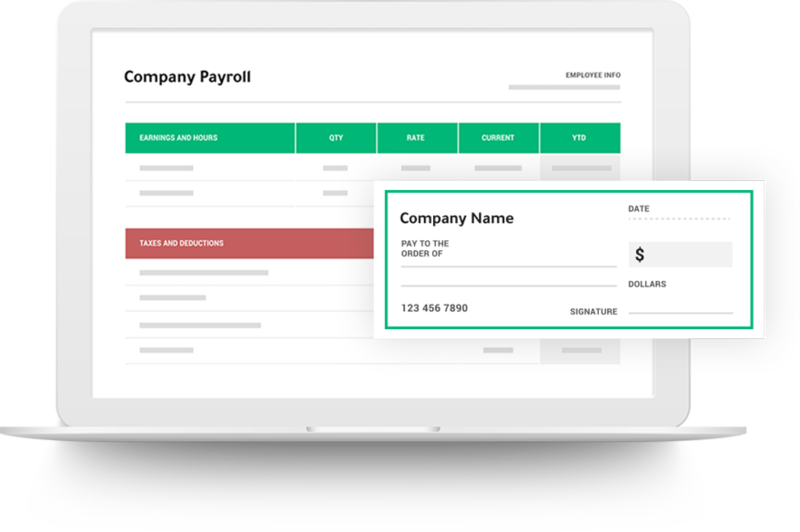 Payroll can be customized to fit whatever your periods are, from direct deposits to checks being sent overnight, and our bookkeepers are at the ready night and day to help you manage your account. We provide year end options, including filing of employee and employer W-2’s, 1099’s, and other required employer returns. Electronic services such as direct deposit, e-file, personal employee access to their paycheck records, and more. Did you know? One of the largest sources of danger for employers is managing their 941 deposits in a timely manner. Failure to do so can result in harsh IRS penalties, which can cripple growing businesses. Are you up to date on compliance, state, or federal laws? Our payroll specialists reduce compliance risk be applying state and federal laws associated with your company profile and state. Our payroll services will keep track of filing tax forms and deadlines. We can even submit the payroll taxes payment for you. Our software can be tied to submit all your tax payments electronically with your permission. As an employer what type of payroll taxes are you responsible for? As an employer you are responsible for withholding and paying Federal income taxes from employees' wages as well as social security, Medicare and state and local taxes. At the beginning of each calendar year you must determine whether you will be a monthly depositor or semi-weekly depositor. This is a form every employee should fill out so that the employer can withhold the correct federal income tax from your wages.